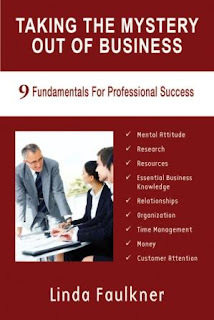 Taking the Mystery Out of Business: 9 Fundamentals for Professional Success is Linda's newest book. It was released in January 2011 and is now available on Amazon (paperback and Kindle), Barnes & Noble (paperback and Nook), Smashwords, at your favorite bookstore, and at Linda's website and that of her publisher, NorLights Press. The world of business is like a mystery novel: filled with suspense and torturous twists and turns. One minute you think you've solved the puzzle and the next minute people are shooting at you from all sides. Business owners, independent contractors, managers, and employees often wear many hats and deal with limited time, budgets, and resources. In this practical primer, Linda Faulkner lays out the fundamentals, providing examples and tips so newcomers to the business world can easily gain an understanding of the challenges they face. Experienced professionals will benefit from a refresher on basic strategies and how to stay ahead of the competition. As an entrepreneur and the founder of four businesses, Linda Faulkner knows all about what it takes to make it in the world of business. She's discovered that professional suicide is caused more by a lack of awareness than any other factor, hence her motto: Clueless is a dangerous place to be. 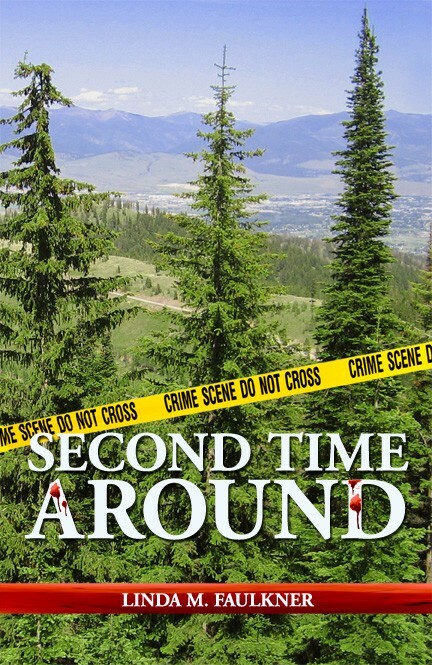 Linda's mystery novel, Second Time Around, was nominated for a 2010 EPIC Award in the Best Mystery/Fiction category. What do you do when the dead body you stumble across turns out to belong to your father, the father you thought abandoned you in infancy? That’s what Timmie Campbell asks herself. Turns out her mother has been lying for years: about her father’s abandonment, about him not contacting them, about a lot of things. Unfortunately, Timmie can’t dwell on her mother’s dishonesty because she has to deal with the stalker who’s monitoring her every move outside her mountain home in western Montana and the additional bodies that begin piling up. Sheriff’s deputy Jack Kendall further complicates her life. He’s investigating the murders and is equally intent on resuming their relationship—the one he ended the previous summer. Unfortunately for Jack, Timmie’s not the least bit interested in romance. Her priority is stopping the killer before he wipes out everyone her family.